This movie is a scream, a hoot and a half. The only reason I'm not giving it five stars is because the subject matter is not high and mighty (Gandhi, Lawrence of Arabia) but the tawdry, trailer-trash life of Tonya Harding. Allison Janney transforms herself into the mom from hell while Margot Robbie has improbably dialed down her looks while convincingly conveying Harding's conflicted, rough-and-tumble self. (For the record, I always liked Harding's skating almost as much as her I'm-no-princess persona.) The screenplay is brilliant and the direction delivers belly laughs and gut punches one after another. Seriously, see this movie. 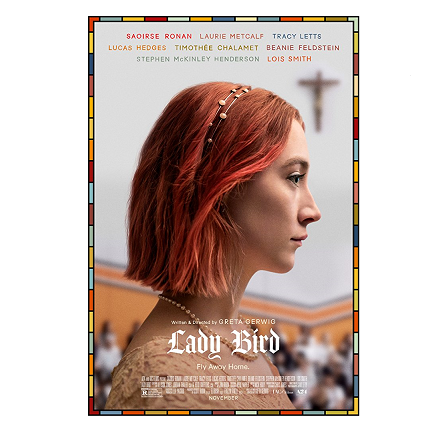 Saorise Ronan is Christine, aka Lady Bird, a rebellious teen with a dad who's down on his luck, a mom who's tough on her, and ambitions that outstrip her academic record. Ronan and Laurie Metcalf (mom) deservedly earned Oscar nominations for their performances. There's nothing here to blow you away. 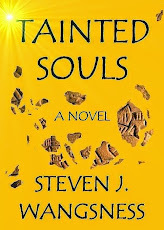 You've seen variants of this teen-girl-comes-of-age drama before -- indeed, some of us have lived it! -- but Lady Bird does it more nicely than most. Extra points for setting the movie in Sacramento, a novelty.